The Speech and Debate Team is a student initiated club that develops the students’ skills in conducting effective research, developing logical, fluid and well-constructed arguments, and expanding knowledge of topics that are not often discussed in our everyday lives. Additionally, our mission is to encourage the critical analysis of topics in our world. 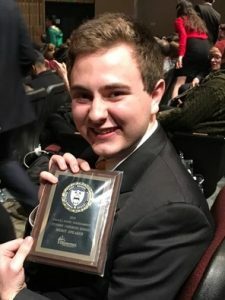 Congratulations to freshman Lucas Deer who was awarded 4th Place in Congressional Debate at the Freshman-Sophomore Speech and Debate Invitational this past Saturday at Seton-La Salle High School. Two freshman students, Ellie Gurtner and Loran Ferrell, competed in prose and poetry for the first time. Sophmore, Katie Dublin competed in Congressional Debate. Great job North Hills Speech and Debate team. Way to go team. 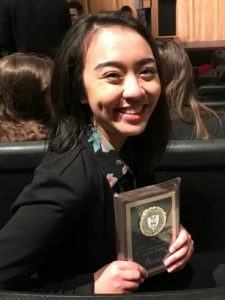 The NHHS speech and debate team will wrap up their Pittsburgh district season on May 12th at North Allegheny High School. Congratulations to our NH Speech & Debate team at STATES.One of the true feel-good stories of this academic year just keeps getting better! From March 15th-17th, the North Hills H.S. 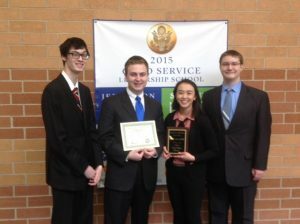 Speech and Debate team traveled to the PHSSL-PA High School Speech and Debate Championships at Bloomsburg University. Over 500 students from over a 100 high schools across the state competed in 18 different events – Each was vying for the chance to be crowned state champion for the 2017-2018 season. 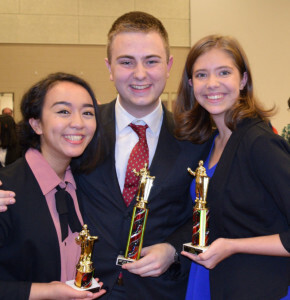 North Hills High School was represented by junior Nickolas Bartel (competing in Congressional Debate/Senate) and senior Michelle Do(competing in Poetry Interpretation). 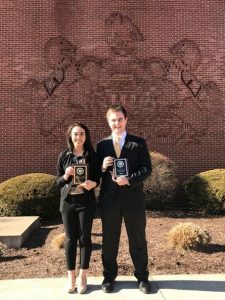 Both Nick and Michelle earned the right to attend the state tournament at the Pittsburgh qualifiers on February 24th. The students were accompanied to the state tournament by team sponsor Dawn Zahorchak and assistant coach Patrick Dickey. Michelle was awarded 2nd place honors in Poetry Interpretation and Nick claimed 3rd place in Congressional Debate. This represents the first time that a North Hills student has competed in a final round at the state tournament in years. Heartfelt congratulations to both Michelle and Nick – Their many hours invested of preparation and practice have culminated in a very special moment in the spotlight! Debate Team come out on top at their first tournament of the season. 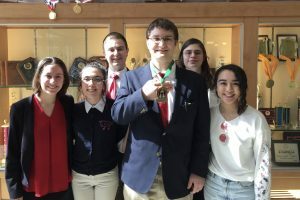 Congratulations NH Speech & Debate Club!